Posted on May 24, 2016 in Community by Jesmine Cham. Everyone knows that there are two things you have to do to be a good writer: 1) write a lot and 2) read a lot. But what if you want to turn this hobby into a living? How do you make a name for yourself, build connections in your preferred industry, learn to write in a certain tone and create killer pitches that will land you more writing gigs? Before we get ahead of ourselves, let’s go back to the two things a writer needs to do: 1) write a lot and 2) read a lot. Besides writing enough to have strong representative material for your portfolio, you need to read, too. But you can’t just read the hot new reads of the season; you need to read books that are relevant to your career. There are plenty of business books out there about freelance writing, but it’s tough to decide which ones are worth your time. We’ve listed a few choice selections to help you this summer. Whether you’re heading out to the beach, park or pool, be sure to pack a few of these/load them on your ebook reader must-read books for freelance writers to enjoy while you bask in the sunshine. Let’s start with the basics. William Strunk and E.B. 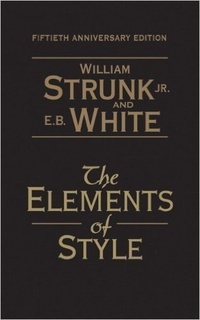 White’s classic manual, _[The Elements of Style](http://www.amazon.com/gp/product/0205632645)_, teaches the fundamental principles of clear, concise writing that applies to anyone, from high school students to professional writers. If you haven’t read _The Elements of Style_ yet (you’ve at least heard of it, right? ), get a copy and start reading! You’ll be glad to have this essential resource on hand any time you’re working on any assignment. Need some encouragement that freelance work can sustain you? Author and business consultant Pamela Slim tells the story of how she went through the challenge of making the break from a safe office job to lead the more risky (but gratifying) life as her own boss. Once you’re done with _[Escape From Cubicle Nation: From Corporate Prisoner to Thriving Entrepreneur](http://www.amazon.com/gp/product/B003VYBEK2/)_, you’ll be pumped and ready to show the world what you’re made of. Plus, what a fun title! If you’re an aspiring professional writer, _[Starting Your Career as a Freelance Writer](http://www.amazon.com/Starting-Your-Career-Freelance-Writer/dp/1581157606/)_ is for you. Writer Moira Allen guides you through the tough (long, rewarding—insert your favourite adjective here) process of becoming a successful freelance writer. She goes over rights and contracts, different types of freelance work, the submission process and everything else a new writer needs to know. It’s a must-read for anyone who wants to make a living by writing. This book goes well hand-in-hand with _Starting Your Career as a Freelance Writer_—which is by the same author, to boot. In _[The Writer’s Guide to Queries, Pitches & Proposals](http://www.amazon.com/Writers-Guide-Queries-Pitches-Proposals/dp/1581157436)_, you’ll learn how to craft well-written pitches that will catch editors’ interest and ultimately help you get work. Well-paid, recurring work even. Allen discusses business writing, self publishing and more, and shows you how to do the proper research to make it in the business. A tricky thing for new writers is learning how to recognize potential scams. Or even just trying to get paid! Jenna Glatzer, the editor of [AbsoluteWrite.com](http://absolutewrite.com/), and Daniel Steven, a publishing attorney, provide tips on avoiding suspicious seminars and shady contracts as well as an introduction to copyright law. With _[The Street-Smart Writer: Self Defense Against Sharks and Scams in the Writing World](http://www.amazon.com/gp/product/0974934445)_, you’ll be better equipped to protect yourself against business fraud and cons. Look, you’ve got the drive, but sometimes it’s tough to find the motivation to actually sit down and write that article. Freelance writer and journalist Mridu Khullar Relph knows what that’s like, and she offers over a decade of wisdom on this matter with her book, _[Shut Up and Write: The No-Nonsense, No B.S. Guide to Getting Words on the Page](https://www.amazon.com/dp/B01B24M51E)_. She talks about how to get in the right mindset to complete projects, sharing stories from her writing career to help encourage you to take control of your goals. By the time you finish this book, you’ll be raring to start typing away on your keyboard. While this book targets working women, it serves as a great guide for anyone looking to juggle a busy personal life with a writing career. Writer and columnist Michelle Goodman shares relatable anecdotes from other freelancers, her own charming stories in the business as well as handy advice. How do you handle deadlines and set up your online portfolio? Or connect with other fellow writers? It’s all covered in _[My So-Called Freelance Life: How to Survive and Thrive as a Creative Professional for Hire](http://www.amazon.com/gp/product/1580052592/)_. Besides being able to write, a freelance writer has to be good at selling him or herself, which—as any writer will tell you—is not an easy task. Content marketing guru Seth Godin explains how successful marketing relies on good storytelling in _[All Marketers Are Liars: The Underground Classic That Explains How Marketing Really Works–and Why Authenticity Is the Best Marketing of All](http://www.amazon.com/All-Marketers-Are-Liars-Works/dp/1591845335/)_. Sure, this book isn’t specifically about freelance writing, but anyone who’s a creative entrepreneur will benefit from Godin’s perspective. You know it, we know it, _everyone_ knows it: social media is the place to make a name for yourself. There are _lots_ of freelance writers gunning for work, so how do you stand out from the crowd? Michael Hyatt, a business blogger and consultant, offers a step-by-step guide to marketing yourself on social media in _[Platform: Get Noticed in a Noisy World](http://www.amazon.com/exec/obidos/ASIN/159555503X/)_. With an emphasis on positive thinking, Hyatt outlines ways to use both social media and a blog—a crucial platform for all writers nowadays—to develop a relationship with audiences and make yourself memorable. One of the biggest challenges of freelance work is being productive. In _[Manage Your Day-to-Day: Build Your Routine, Find Your Focus, and Sharpen Your Creative Mind](http://www.amazon.com/Manage-Your-Day—Day-Creative/dp/1477800670/)_, several professionals including Seth Godin and Gretchen Rubin offer advice on dealing with distractions, managing work schedules and meeting your goals. When you’re feeling overwhelmed by all the work that lies before you, turn to this book—edited by Jocelyn K. Glei, founding editor of [99u.com](http://99u.com/)—for inspiration and insight. There you have it: 10 titles to help and inspire you to succeed as a freelance writer. So while you’re lounging in the sun, with some iced tea by your side, you can enjoy the fine weather and improve your freelance game. Win-win.